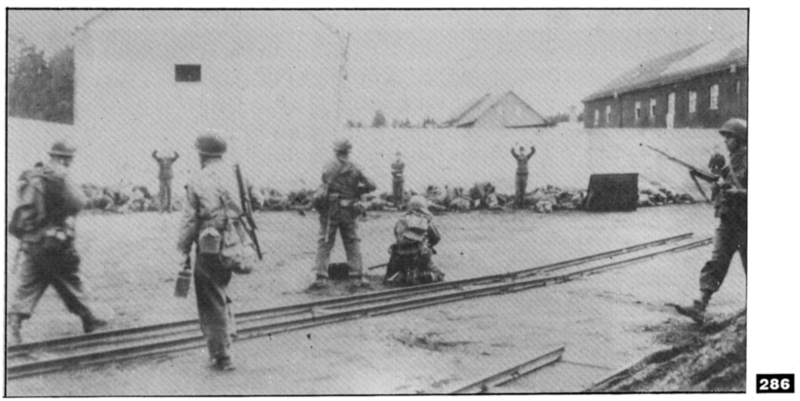 Americans conduct on-the-spot executions of Nazi SS guards at Dachau. (284 – 290) From ‘Dachau: The Hour of the Avenger’ (Col. Howard A. Buechner), Thunderbird Press, Metairie, LA. USA, 1986. 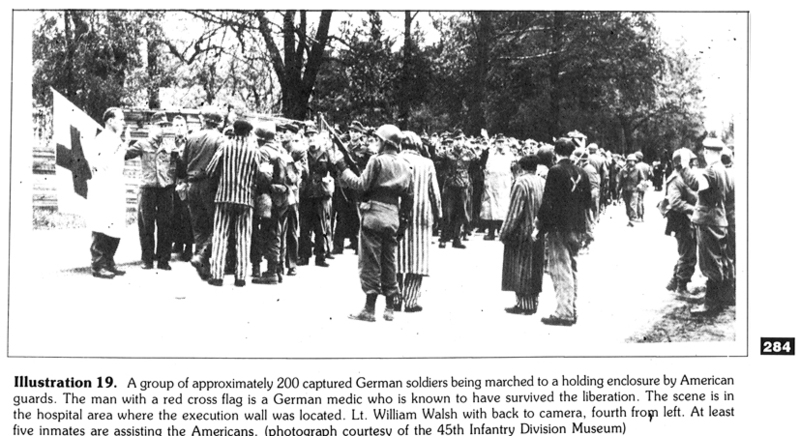 During the liberation of Dachau camp, many German soldiers from the surrounding area surrendered under the protection of a medic with a Red Cross flag. The photo also shows members of the Volksturm, mountain troops, Luftwaffe personnel, Wehrmacht, SS soldiers in camouflage, soldiers in civilian clothing, etc…. Inmates inciting American troops to murder the German prisoners Lt. Walsh placed his division under the command of Lt. Bushyhead (nickname Bird’s Eye) of Native American Indian origin, to guard the prisoners. 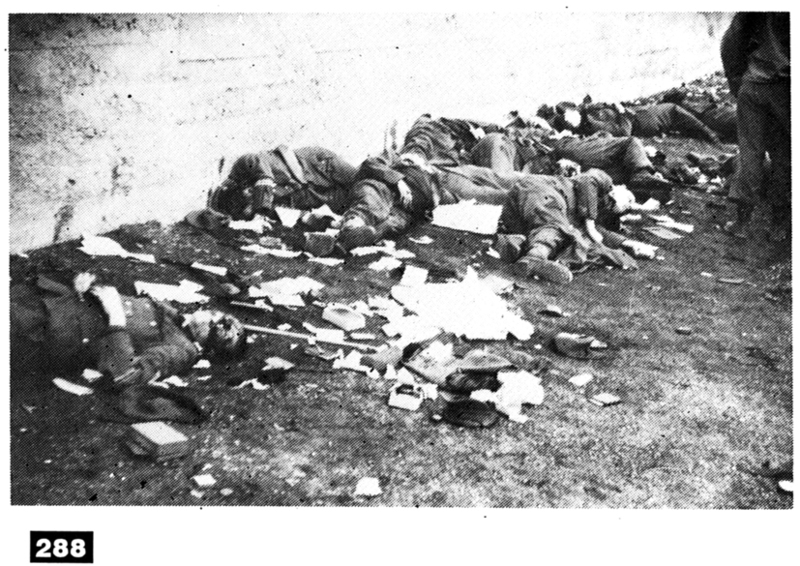 Lt. Bushyhead placed the prisoners against the wall of the hospital and shot them with a few salvos of machine gun fire, giving inmates pistols in order to finish off the survivors. 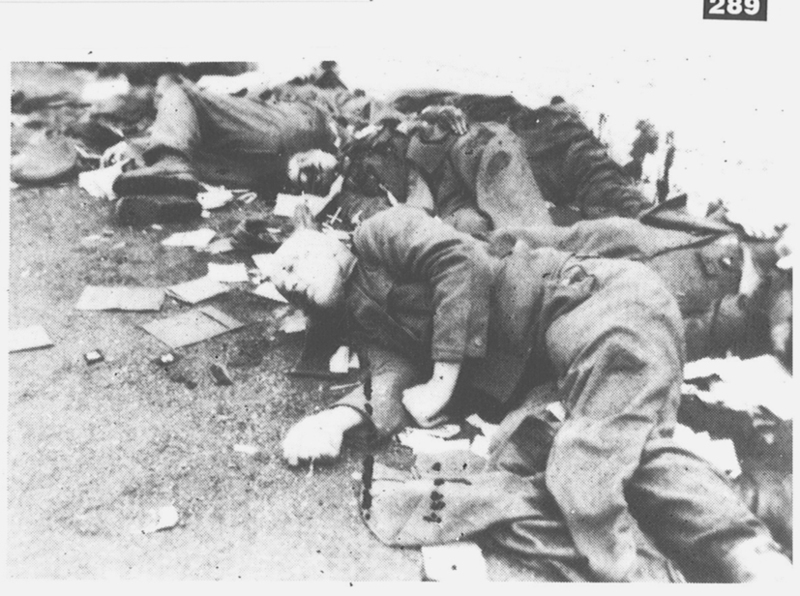 The bodies were looted. 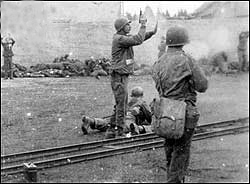 No action was taken by the Americans to prevent the inmates from taking revenge upon German personnel. 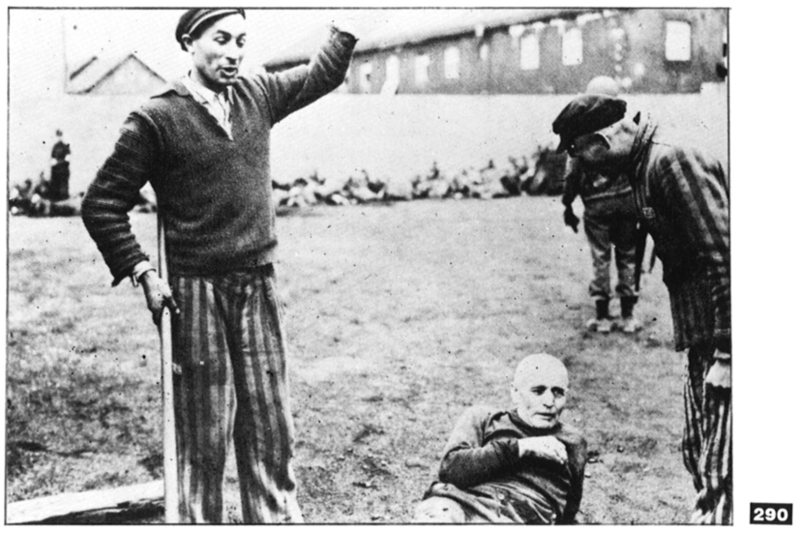 The middle- aged man shown here was killed by inmates with a shovel, this is the same man seen lying dead along the wall holding a crucifix in his hand. 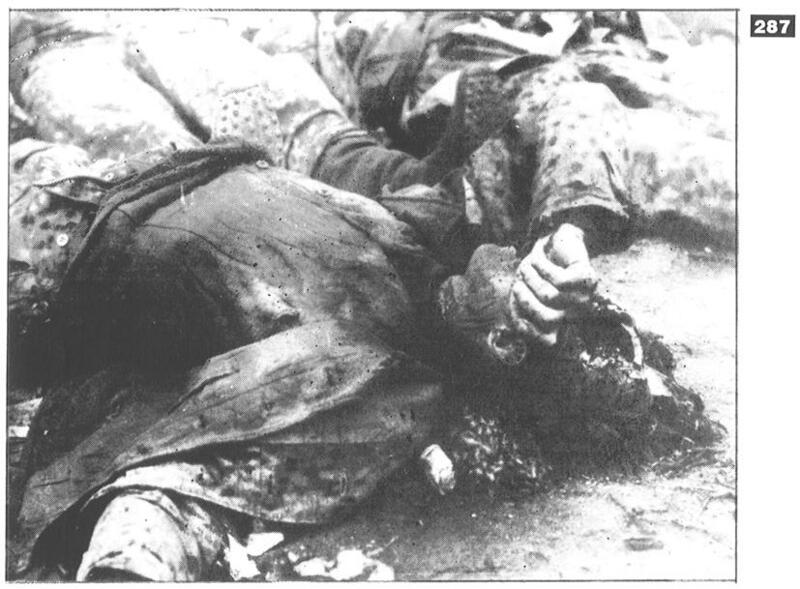 General Patton was informed of this massacre, but ordered the evidence destroyed and prohibited any further investigation. 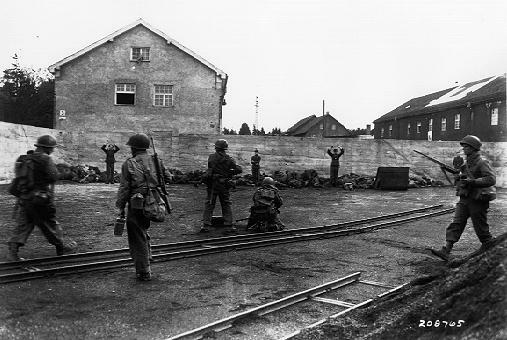 No one ever prosecuted for the murder of the 346 German soldiers interned at Dachau, who were entitled to protection under the Hague convention. Dachau was surrendered in full accordance with the terms of international law.